One thing is for sure about any type of arthritis: it hurts. In fact, arthritis in any joint can get so painful and problematic that it can become debilitating, and even lead to joint replacements and other drastic treatment options. No one wants to have a knee replacement for osteoarthritis, or have to cope with a lifetime of rheumatoid arthritis. Along with traditional treatments, you’re probably searching for a form of natural pain relief for arthritis. You’ve come to the right place; as a medical intuitive, Antonio has worked with many, many clients to help provide more natural pain relief for arthritis. Arthritis is the deterioration of a joint in the body due to any of a variety of causes. 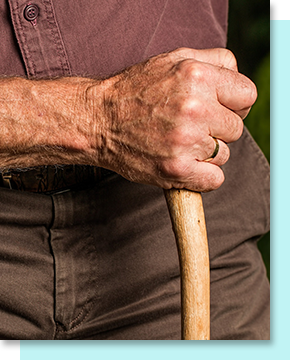 Conditions like osteoarthritis are due to wear and tear, as well as the aging of a joint. Rheumatoid arthritis is caused by the immune system. The cells in the immune system incorrectly target the cartilage in the joints and slowly destroy it. Psoriatic arthritis is also caused by an incorrect immune response as well. Along with pain and stiffness, many types of arthritis can actually destroy the joint that hurts, cause depression, and aggravate fibromyalgia, among other problems. Treatment for arthritis can range from daily self-care routines to invasive joint replacement surgeries, depending on how far your condition has progressed. Your daily routine could consist of using heating pads or cold compresses, doing gentle exercises, and taking anti-inflammatory medications and pain killers. If your condition worsens to the point where you’re unable to perform normal activities, surgeries like hip, knee, or other joint replacement may be needed. You don’t have to live your life in pain, though, when you can find natural pain relief for arthritis. Contact Antonio Silva for help managing your arthritis. How can Antonio Silva help with arthritis? Because Antonio has worked with so many pain clients using his abilities as a medical intuitive, his experience is your benefit. Over the phone, Antonio can consult with you about your goals, expectations, and symptoms, as well as help you to make a plan in order to find natural pain relief for arthritis with his help. Don’t waste any more time living your life in pain; contact Antonio Silva, an experienced medical intuitive, to help with your arthritis pain today.